Transformation of the Day: Mercii lost 85 pounds. Realizing that her weight was putting health at risk was her turning point. She was also tired of depression and low self esteem. 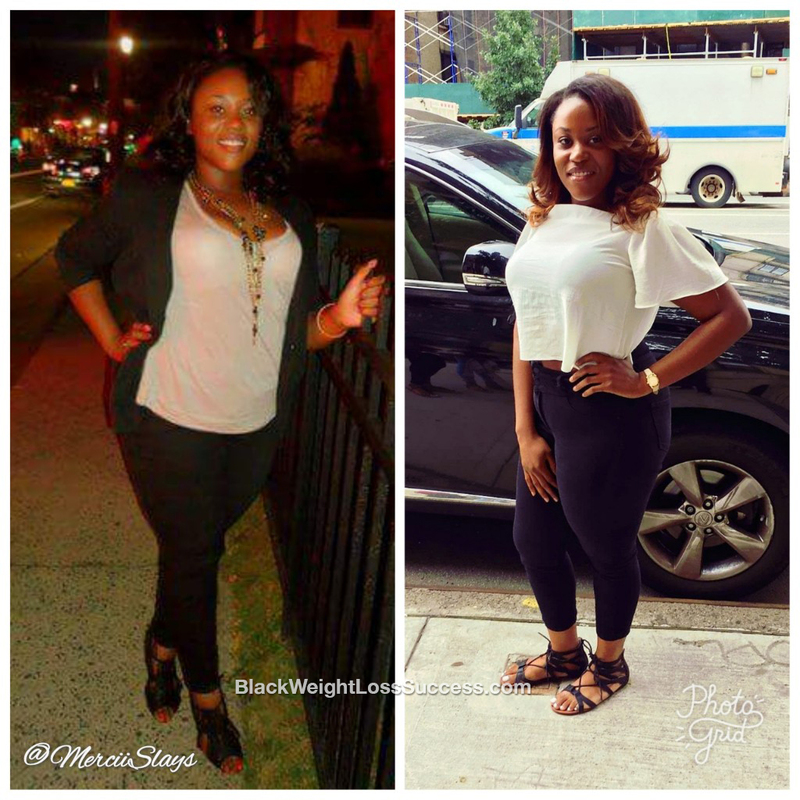 Over the course of a year, she used healthy eating habits and exercise to release the weight. Check out her story. I’ve always struggled with my weight. At my heaviest weight of 275 pounds, I was classified as morbidly obese. My height is 5’5″. I was an emotional eater and I was out of control. I remember feeling depressed and having low self-esteem due to being overweight. After I realized that my weight was predisposing me to several unwanted medical conditions, I decided to make a change. After many failed attempts with fad diets, I learned the hard way that weight loss is all about consistency and adapting to a healthier lifestyle. I started my journey by eliminating simple carbs, soda, fast food and processed sugar from my diet. I focused on consuming healthier complex carbs, high fiber foods and lean meats. I consistently worked out, doing cardio and weights, 4-5 times a week for 45 minutes to an hour. Now, a year later, I’m 15 pounds away from having lost a total of 100 pounds. Looking back makes me realize how far I’ve come. I’m still a work in progress, but I want to motivate others to become the best version of themselves. She looks fantastic. Goodnight job!! !